Traditionally, the rail industry’s heavily-regulated processes have been carried out using paper. With the advent of the Digital Railway, and indeed, a transformative shift in how the industry operates, paper-based processes have become an increasingly inefficient means of carrying out work. As such, the rise of the smartphone has led to previous means of recording, maintaining and managing information becoming redundant – this includes close calls. In an industry that has access to massive amounts of data, having the means to digitally raise close calls – and store, analyse and utilise this information for workforce and industry improvements – is vital. As the safest railway in Europe, there is an industry-wide impetus to continually improve the UK rail industry’s safety culture, and the tools increasingly being used to drive this excellence in safety, are smartphone apps. What are the benefit of digitising close calls in rail? In the past year alone, we have seen a massive spike in how many of our customers are creating close call apps using the Nutshell platform. This coincides with Network Rail’s report on how many people have recorded close calls in the past year. In the 2017/18 period, there were 259,009 close calls reported – this is over 50,000 more than the company had forecast. This increase in reporting is not just a positive indicator of how the rail industry are now approaching and adopting rail safety strategies, but also a positive indicator of how the industry can improve by digitising its processes. 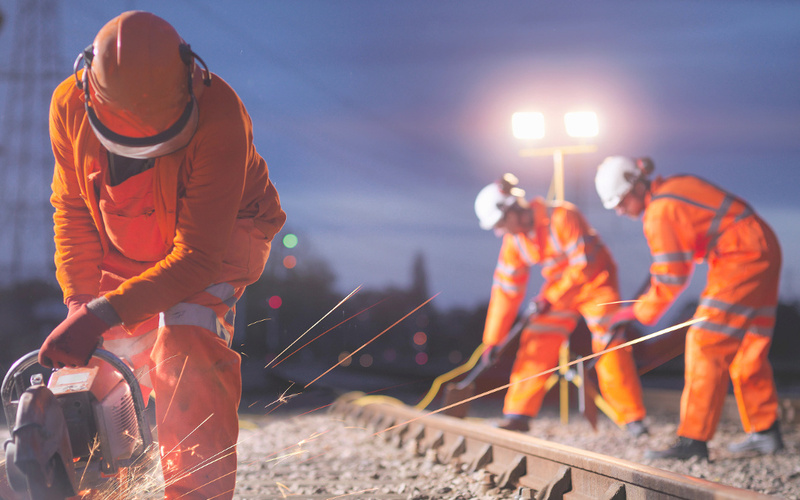 The rail industry’s workforce is disparate, and as such, having the means in place to digitally record events across the railways is imperative. Providing the means to enable operatives to raise close calls in real time, rather than reporting an incident post-event – or indeed, highlighting a potential risk off site – allows the rail industry to, not just respond to incidents more quickly, but cultivate a culture of preventative safety, rather than reactionary risk management. We’ve discovered – by both analysing app data and collaborating directly with our client base – that another benefit to digitising close calls in rail is the ability to categorise live report data. This enables operatives and companies across the rail industry to better mitigate risk, by collating information regarding the probability of accidents, fatalities or injuries, based on previous/similar reports. This not only enhances the industry’s understanding of the potential consequences of accidents, but continues driving innovation in risk management, by bringing conversations about safety to the forefront of the industry. This, in turn, will improve the railways for everyone who uses them. Digitising close call reporting supports the future of the UK rail industry. Because the railways are carrying twice as many passengers as it did 20 years ago, there is a natural rise in risk management to be considered. The safety and reliability of the railways relies on harnessing the power of digital integration – and how railway operatives report close calls is no different. If you’d like to chat about digitising close calls or streamlining your safety processes by kickstarting your internal app development journey, get in touch with Nutshell Apps today.